Most people’s reason for attending the gym is that they want to get shredded, but the percentage of people who actually achieve this is very small. 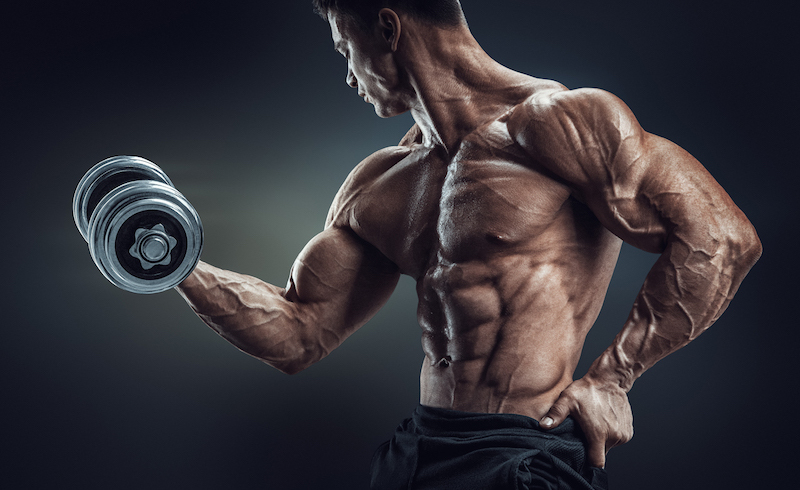 There are many reasons why this is the case, and this article will look at some of the most important reasons why you’re not shredded. NEAT stands for Non Exercise Activity Thermogenesis and is a measure of all the calories you burn during the day that don’t come from exercise. For example walking, cleaning the house, doing the washing up, even things like brushing your teeth, or cooking a meal can burn calories. If you lead quite a sedentary lifestyle your NEAT can be very low, which will lower your daily calorie expenditure. This means that your weight loss may be stalled. One way to improve NEAT is to measure your step count, download an app to your phone and start walking everywhere. When dieting having a higher protein intake can make all the difference, high protein levels can improve satiety (feeling full) after a meal, promote body fat loss, and protect lean body mass . It can also increase thermogenesis, which means more calories burned throughout the day when compared to a lower protein diet . At its core, weight loss is a pretty simple process. To lose weight you need to stay in a calorie deficit, meaning that you expend more calories than you consume. Unless you are counting calories it is very hard to do this effectively – It’s possible, but this mostly leads to either way too many calories dropped, or conversely nowhere near enough. Either way, you won’t lose weight and keep it off. Exercise selection can actually make quite a bit of difference, particularly when trying to get shredded. If you are counting calories, but are not trying to learn from this experience then you are missing out. If you are struggling to hit your macro targets, or keep going over your calories what you need to do is analyze exactly why this is happening. Is your breakfast too low in protein? Or maybe your snacks are too high calorie? Could you try replacing the 3 tablespoons of cooking oil for a low calorie cooking spray? All of these changes could help you to lower your body fat, but unless you are reviewing your diet every once in a while you may never stumble across these possibilities. Reason #7. You aren’t consistent enough Whilst the preceding points were all valuable, this is the most important. If there was a list of one reason why you aren’t shredded this is the only point that would be necessary. Whatever you choose to do, consistency is what will make it work. If you have the best diet and training program of all time, it is useless if you don’t follow it week in, week out for a very long time. People don’t want to hear that consistency is the most important point, because it isn’t fun or exciting. They are looking for some magic bullet solution that will instantly change their physique. “Oh I stopped eating bread and now I have a six pack“. No, what happened was that you started to restrict your calories by depriving yourself of something that made up 200 calories of your diet, and after weeks and weeks of constantly removing 200 calories worth of bread from your diet you lost weight. Even though your method was misguided (there’s absolutely nothing wrong with bread) the fact that you had lowered calories and kept at it led to the results you wanted. Being consistent is more important than any other factor.